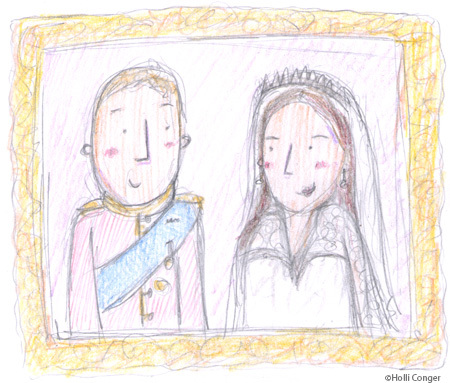 I’m posting this a little late due to a busy garden planting weekend and then deadlines, but I thought I’d share our Royal Wedding experience. 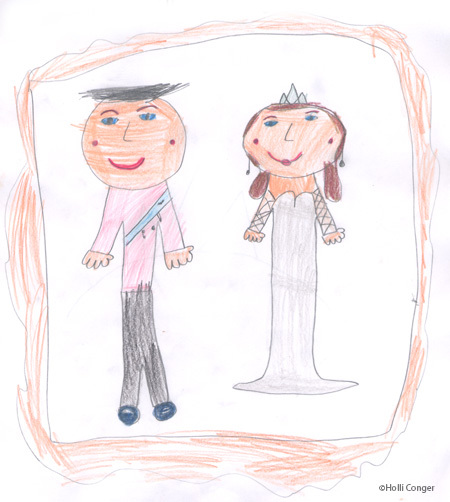 The Woog was very excited about a real Prince and Princess getting married and I was excited that this was going to be the first historical event she would remember for the rest of her life. With all the tragedies in the world, I’m so glad her first is a happy occasion. The Wedding promptly started at 4:45 on Friday with Giuliana Rancic as our host (love her!) for the evening. She supplied us with fantastic seats and allowed us to have pretty much full access to the entire Abbey, so if we got blocked by a big hat, we’d just move our seats up right next to Will & Kate (who didn’t seem to mind). O’Hare quickly feel asleep after the picture so I’m glad I avoided any possible stink eye from the Queen for having a crying baby at a wedding. We had tea and crumpets (which were milk and chocolate chip cookies) and I made up a little activity booklet to work on (mainly to keep her interest in during the long ceremony). Drew our favorite hats of the day and also counted how many hats we saw. I found 101 and the Woog found 207. She had a blast (and so did I)! Cute! 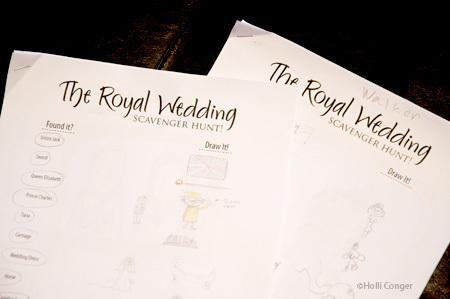 Love both of your drawings and the scavenger hunt/hat counting ideas were great!